Want younger looking skin? Then you need to increase Skin Cell Turn Over! Doesn't my skin regenerate and turn over on its own anyways? Sure, if you want to wait about a month and a half - minimum. In young healthy skin this process takes around 6 weeks, but if you are in your 40's (or more) and have sun damage, slow this process down to about double. Chemical peels increase skin cell turnover radically fast, which in turn improves skin texture making skin appear younger. What else improves in my skin when I do a peel? When we do chemical peels, we are benefiting from the skin's own healing ability to regulate growth factors and stimulate the production of collagen, elastin and hyluranic acid. We can also help to increase the healing of our skin by applying a topical growth factor such as Regenerate immediately following a peel treatment. By performing a series of peels (6-8 peels in a weekly or bi-weekly basis) we can expect improvements. The production of growth factors, collagen, elastin and hyaluronic acid all slow with age, so the goal in anti-aging is to preserve and increase the production all of these things. Collagen is a protein that gives skin it’s volume strength and structure, while elastin is what gives skin it’s elasticity (or ability to snap back). Hyaluronic acid is a key molecule involved in skin moisture, as it binds and retains water up to 1000x its own molecular weight. By giving our skin the tools to regenerate and increase cell turnover, we can improve, and even eradicate, fine lines and pigmentation. Most topical ingredients can NOT touch these points. 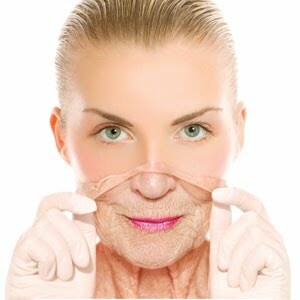 Chemical peels are a unique way to improve your skin from within! Real changes. At home peels are a excellent way to improve your skin. Safety is always a concern though so you absolutely MUST limit your chemical peel purchases to someone like Platinum Skin Care. www.platinumskincare.com	creates CERTIFIED PEELS for home use and professional use. They guarantee their peels to be the exact percentages, pH levels and purity levels stated. All peels come with a certificate of authenticity and are safety sealed. Start your journey to younger looking skin by choosing which acid you would like to work with. The easiest way to see how a peel will fit into your schedule is by taking a look at the "down-time". Down-time happens because the skin is preparing to release the skin cells and is no longer receiving any moisture or nourishment from the body. Your skin is actively flaking. Pigmentation can look darker during this phase. TCA - 13% is an excellent percentage to begin with if you have time in your schedule to allow 3-7 days of flaking. It is a layer-able peel that can be applied 1x for a mild peel and up to 5x for a deeper peel. It is excellent for fine, and deeper, lines, pigmentation and even scarring. MANDELIC - 22% is perfect for those who can only have 2-3 days of light flaking in their schedule. It is applied only one time and will remain on for about 5 minutes. It can be used weekly and is excellent for pigmentation, fine lines, melasma, acne and more. LACTIC - 50% is probably the mildest acid that can be used. It has a large molecule and is very low on the irritation scale. It is best for drier, pigmented skin types that are looking for no visible peeling to very light flakes. Choose your downtime and start the process now. Each acid is a click-able link to our Certified Peels. As always, if you have questions about the peels or percentages suggested here in this posting, please call us at 1-800-917-3155 Monday - Friday from 9-5 EST. You may also email us at certifiedpeels@gmail.com or Chat with us once you reach our site. Look for the Chat Tab on the side of the page.